Concerts, Festivals and Sporting Events! Travel to your favorite event in style. Ride on your own schedule door-to-door in your personal Chalet On Wheels’ Party Bus [Full Disclosure: this ain’t no bus!]. 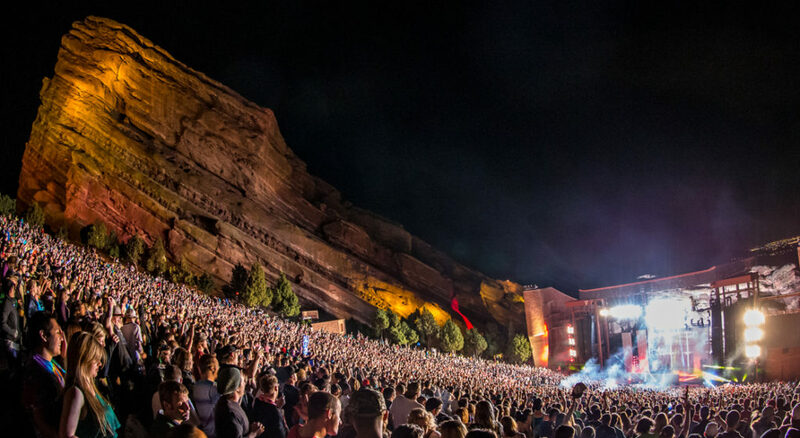 It’s perfect for families or groups of up to seven adults and two small children traveling to Denver area concerts, sporting events, Vail Valley or Summit County. Everyone can fully experience the show knowing that your professional driver will be there to take you safely back home. Your Chalet On Wheels’ Party Bus experience includes catered gourmet food and drink (you choose the menu)! And there’s a full kitchen on board. We take care of the in route entertainment (movies, music, board and video games). We have power for every device you carry with you—and you’ve got Wi-Fi. You’ll appreciate the roominess, our comfortable couches and other options. You’ve got a bathroom and a shower! You arrive at your destination looking good. Ride Like a Boss to Red Rocks or the Pepsi Center. Cheer on the Rockies, Avalanche, Nuggets or the Broncos—any theater or event. Going to Telluride or Aspen/Snowmass for a music or film festival? Chalet On Wheels’ Party Bus is the only way to go! Chalet On Wheels’ Party Bus offers competitive rates and we’ll take you to other places you need to go, should you need to make a stop along the way. Get in touch with us now to reserve your dates! Remember to ask about packages that include tickets!